Emma Tristram writes: I based my legal case against Highways England’s Preferred Route decision on the errors in the 2017 consultation. Rather than have the errors come out in court, Highways England decided to reconsult. The preparations for the court hearing – ‘witness statements’ by both sides - have revealed that in some cases they had the correct information but decided not to use it. This series of blogs reveals how Highways England's main errors came about. The outcome of the 2019 consultation could be very different if Highways England tell the truth about the costs, benefits and impacts of all the options. I’ll start with the most obvious error: the one about Binsted village. In 2017 HE said that Option 5A was ‘500m north’ of Binsted village. This was influential – it was quoted by West Sussex County Council in the meeting where they decided to support Option 5A. The truth is that Option 5A goes through Binsted village – 75m from the nearest 3 houses. It splits the village (dividing 4 houses from 34). It passes from one end of the village to the other, with 11 more houses just outside the 200m line. See the red dots in the map opposite. The statement prepared by Highways England for the court case explained how this figure came about. 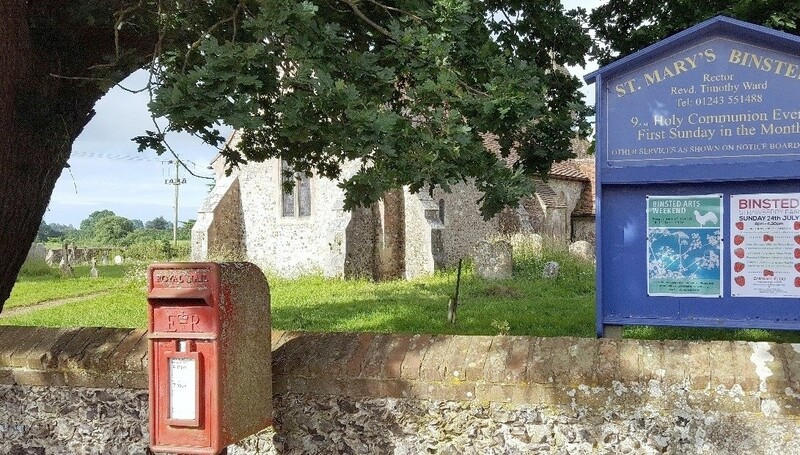 They said Binsted village had no obvious centre so they took St Mary’s Church as the notional ‘centre’ of the village. St Mary’s church is not the ‘centre’ of the village but is on the far western side of it. This ‘error’ enabled HE to use the phrase ‘east of Binsted’ when they meant ‘through Binsted village’. For instance the section on ‘Effects on communities’ cited the damage to Billycan Camping as the road went through it – but only effects on communities ‘east of Binsted’. The phrase ‘east of Binsted’ appeared several more times in the consultation documents, each time apparently indicating that there was no damage to Binsted, only ‘east of Binsted’. This ‘error’ was reinforced by other factors which hid the village. On the main Google earth map used at exhibitions, Binsted was not named. Houses appeared too small to be noticed unless in a large group, as at Walberton. On other maps, a label ‘Binsted’ appeared but no hint that it was a village. The consultation documents were distributed far and wide, as far north as Horsham. Most consultees could not have known there was a village at Binsted and 5A passes through it. 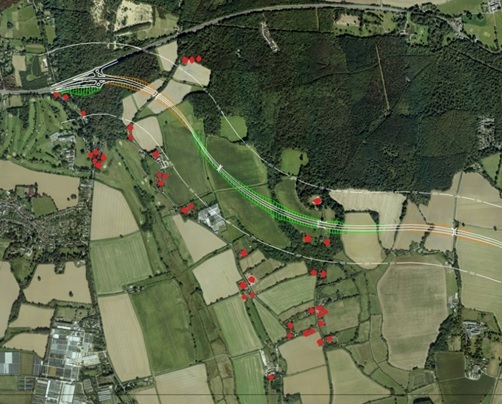 The true layout of the houses in Binsted village had been supplied to Highways England in the Arundel Bypass Neighbourhood Committee’s pre-consultation ‘Evidence Report’ of September 2016. A marked-up map showed every house, which ones were listed, and which ones were ‘buildings and structures of character’. The nature of the village, spread out along a U-shaped lane, was clear. Highways England had the correct information but decided not to use it. Taking St Mary’s as the notional ‘centre’ of the village was a convenient untruth which enabled the damage to the village to be hidden. This is a highly revealing example of the way Highways England slanted the 2017 consultation in favour of promoting Option 5A, instead of fulfilling its obligation to provide impartial and accurate information about all the options. Will Highways England tell the truth in 2019?